What are keyloggers? You need to understand what keyloggers do. Keyloggers is malicious software that tracks and logs the keys entered on a keyboard without the user’s consent and knowledge. Imagine you are in front of an ATM and the person behind you peers over your shoulder as you enter your pin number, sound’s creepy? That is exactly what a keylogger does on your computer except that it does this without the user knowing it. These programes are highly specialized surveillance software that logs the keystrokes, mouse movements and virtual on-screen presses inside browsers or other applications. This captured information is then sent back to the attacker who will use this information in various malicious ways. Most of the time keyloggers are associated with malicious activity, however there are some that provide parents with information on how their children use their computers (The legality of that is beyond the scope of this post). 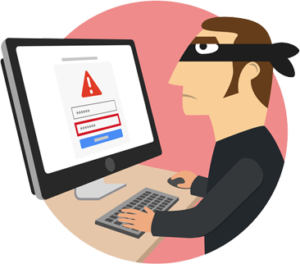 Keyloggers are mainly abusive and come bundled with Trojans to steal sensitive details such as banking information and social media login details to name a few. 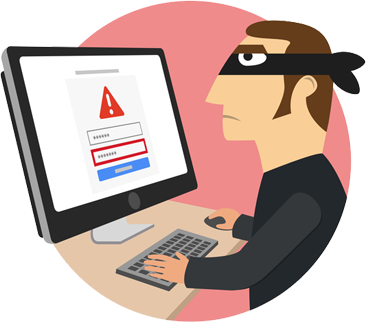 Besides obtaining sensitive information like banking login details, keyloggers can also be used to obtain email sign in information. Recently we came across a client who’s email accounts were duplicated and unsolicited messages were sent out. Once in the recipient’s inbox, the email displayed the information of the comprised client. Obviously, this did not go well for the compromised client as they have been accused of sending out these unconsolidated messages. The bad news is that most of the time the user will not be aware of keyloggers that are present on a device. In this case, it is therefore important to have a preventative mindset by using proper anti-virus software. A good anti-virus program is a good start to ensure a more secure digital environment. These programs will constantly scan your computer and will identify potential malicious programs, enabling you to take immediate action. So, it is important that users understand the nessceity to adopt a preventive mindset by using proper anti-virus software that will be able to detect these unwanted keyloggers. Keyloggers, just like other malicious programs is a reality. As we are increasing our use of digital devices it is clear that security threats are here to stay. Again it is our responsibility as users to understand these threats and take action to protect ourselves. There are good anti-virus programmes available. We recommend paid versions of these programs as they off the user more options and sometimes a more secure environment. It is also affordable, a good anti-virus will set you back between R220 and R300 per year which works out at +- R18 per month. Contact us for more information, but make sure you are staying safe.